With the light and warmth that spring and summer evenings bring we head out to the beautiful Surrey countryside surrounding Oxted and Limpsfield, exploring the many varied footpaths and trails that criss-cross the area – a guaranteed journey of discovery! We generally split into different groups dependant on runners pace and distance ability, with route options between 5 and 8 miles available at a steady, medium and fast pace. And for added enjoyment twice a month we start and finish our Tuesday and Thursday evening run at a local country pub usually just a short distance away from Oxted. 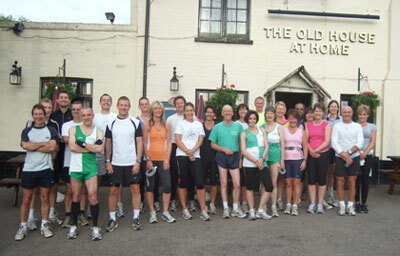 All summer runs (excluding the Pub runs) start from The Limpsfield Club.